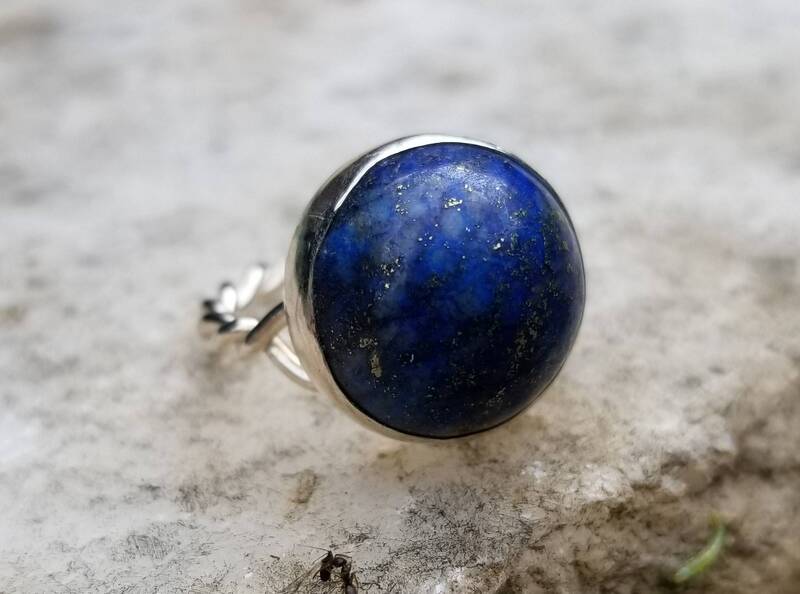 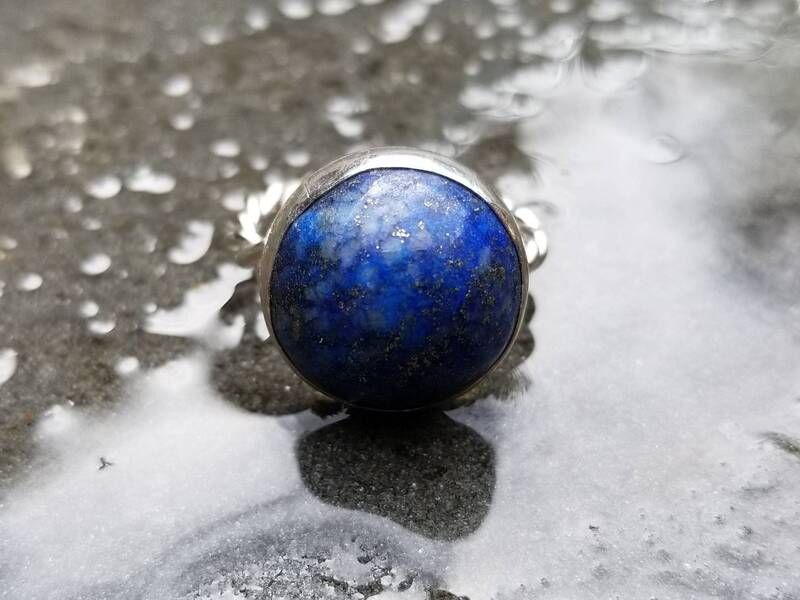 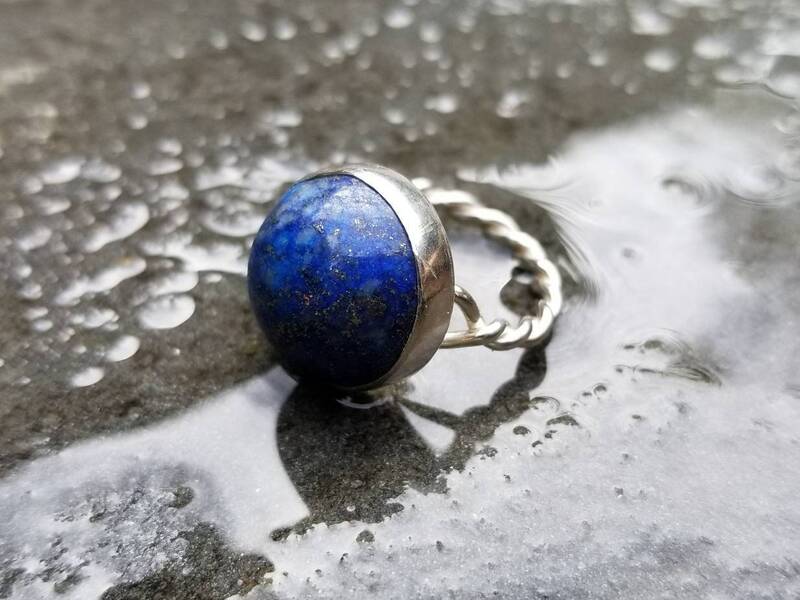 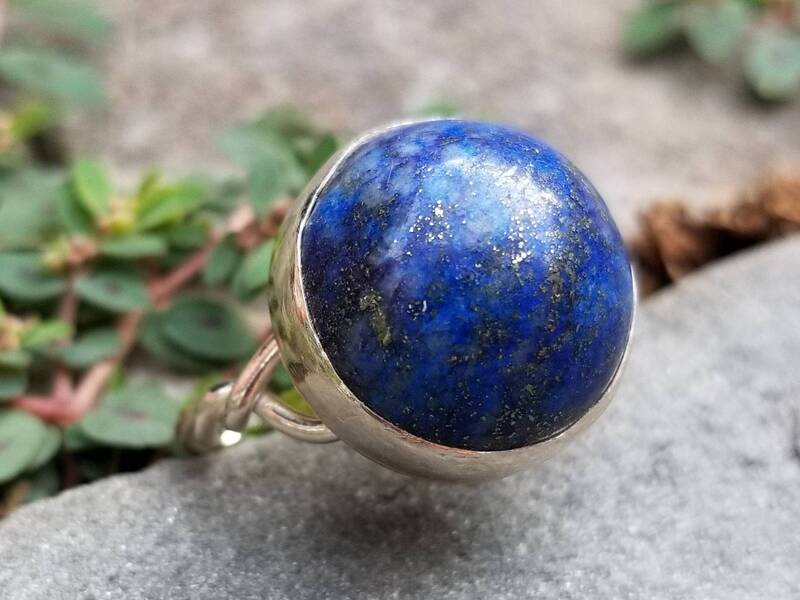 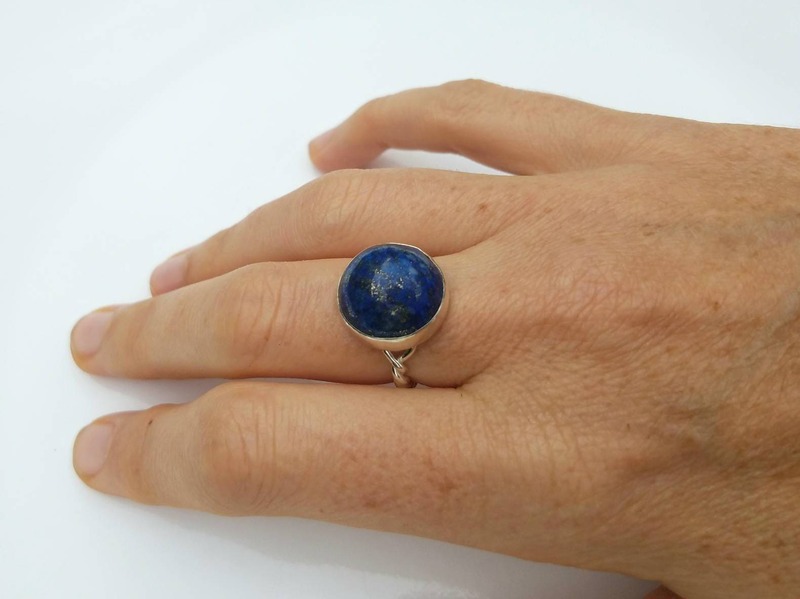 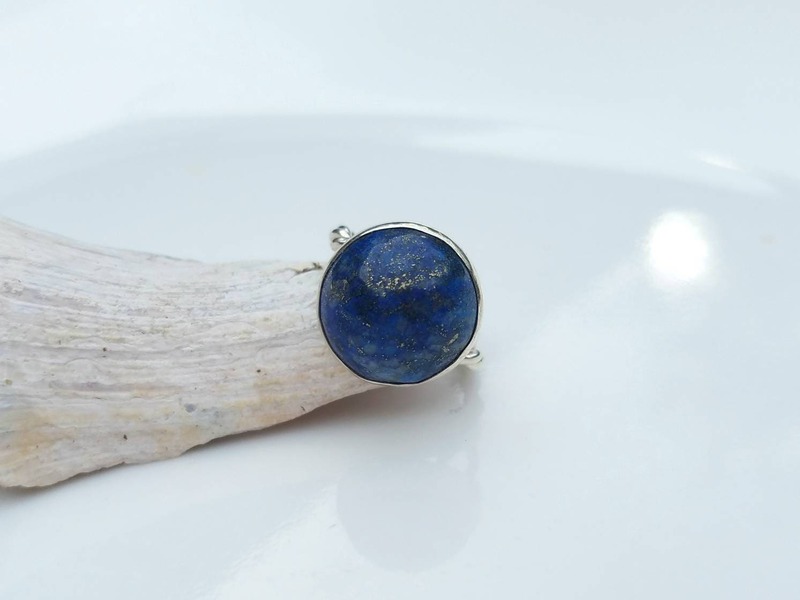 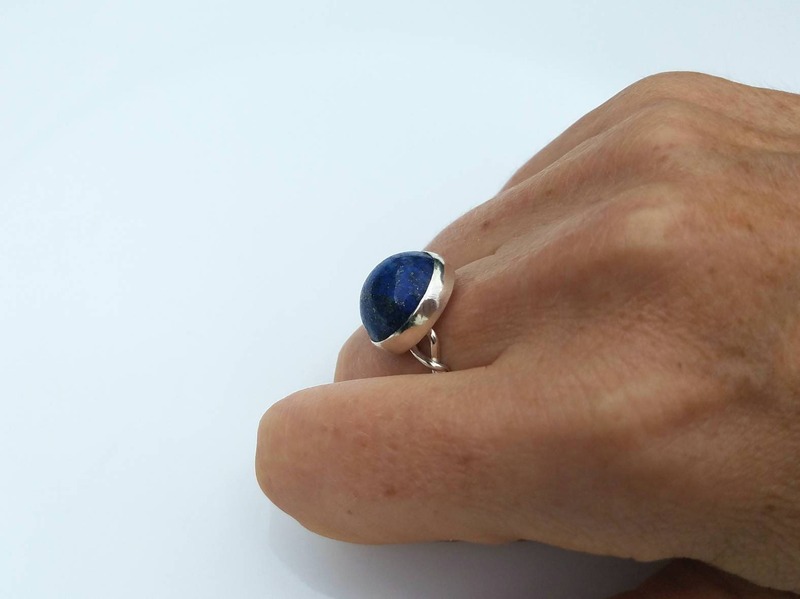 Lapis lazuli is one of my favorite stones. 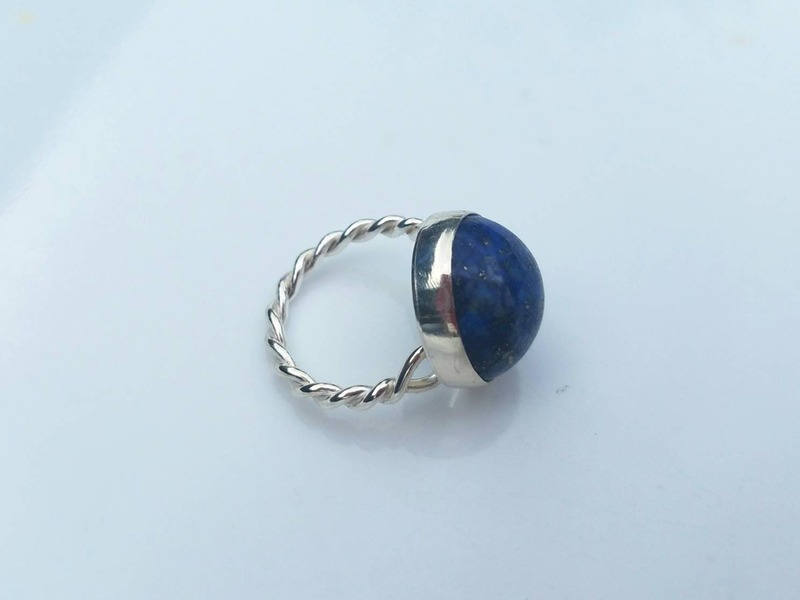 This one was a bead that I chopped in half and set in fine silver. 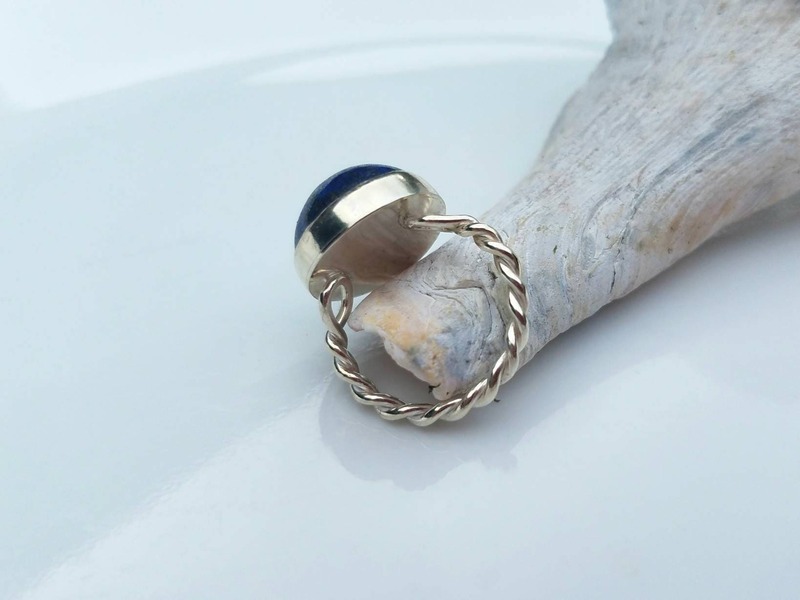 The stone has a 17mm diameter, and a high dome of 9mm. 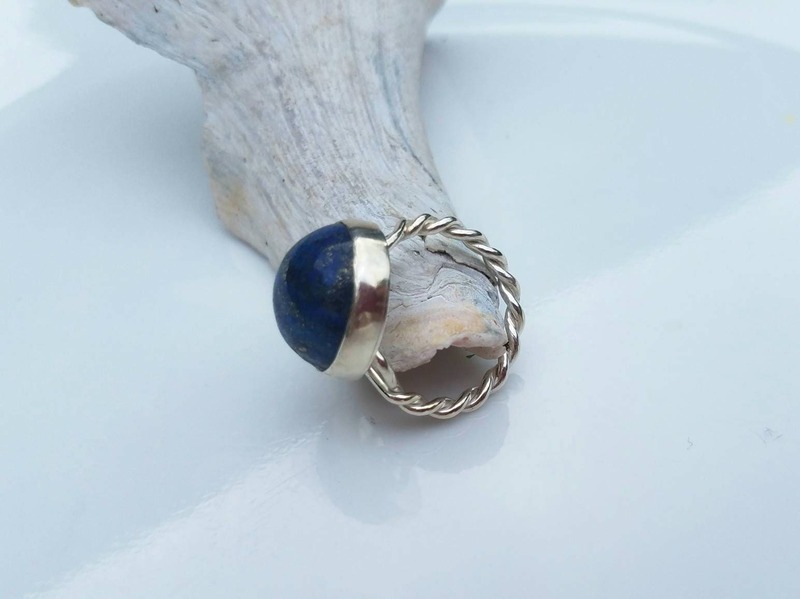 I created the twisted loop shank out of sterling silver.